Diffusion PR asked me along to one of their clients, Secret Escapes, to take photos of their executive team for use in the media. I arrived at the Secret Escapes office in Farringdon hoping that it would be a warehouse style office with lots of exposed brickwork everywhere. It turned out the office was a fairly normal open plan office with some funky touches like beach ball lampshades. 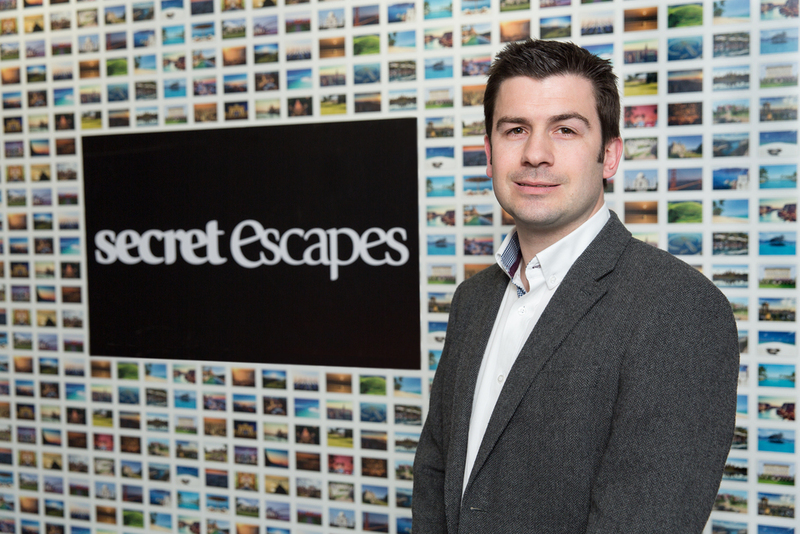 Knowing that they wanted the Secret Escapes logo in the photos, I had assumed there would be somewhere in the office which we could easily use as a backdrop. Walking into the boardroom there was a very cool feature wall at one end with a whole load of postcard-like images tiled, one next to the other. No Secret Escapes logo, however! What they presented me with was a old, used, scruffy board mounted logo, which we blu-tacked onto the wall. It was covered in marks and was also highly reflective, which made the photos quite tricky. The whole process, as is often the case with these kinds of shoots, was a bit rushed, so I had to deal with a lot of issues in post production. In some cases I had to remove the sign and replace it with a digital version! You can see some of my favourite shots from the shoot below.